Nearly 2,500 of the world’s top athletes will converge on September 7 in Mont-Tremblant, Quebec, Canada to compete in the 2014 Subaru IRONMAN® 70.3® World Championship. The oldest participant, Bob Scott, an 83 year-old man from Naperville, Illinois and the youngest, Emma Langley, an 18 year-old female from Cos Cob, Connecticut are among the competitors hailing from 87 different countries in hopes of winning an age-group World Championship title. The 2014 field of athletes, will tackle a 1.2-mile swim in Tremblant Lake, followed by a 56-mile bicycle ride through the Laurentian Mountains and finally a 13.1-mile run that finishes in the Tremblant resorts pedestrian village, all done within eight and half hours. 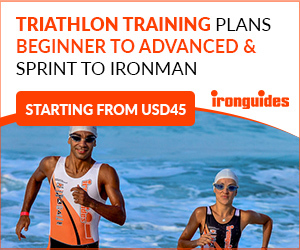 In order to qualify for the World Championship athletes earned slots at IRONMAN 70.3 events held worldwide. While athletes of all ages have qualified to compete in the World Championship, the average age of 2014 male registrants is 41 and the average age of female registrants is 40, defying commonly held notions about peak physical performance. The ages of IRONMAN 70.3 World Championship athletes are almost as varied as their countries of origin. The United States is the most represented with 975 registered competitors, accounting for over 38 percent of entrants this year. In all, athletes from 49 states are represented, with the greatest number coming from California (140), Texas (97), Colorado (78), New York (69) and Florida (59). The host nation, Canada has the second-most athletes competing with 403, followed by Australia (253), France (94), United Kingdom (92) and Brazil (77). 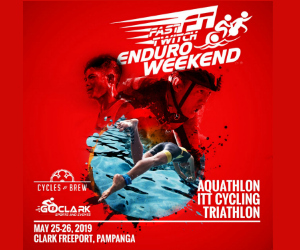 · Since the series began in 2006, the IRONMAN 70.3 World Championship has been controlled by Australia (five champions), Germany (four champions) and Great Britain (three champions). The United States has had two winners with Canada and New Zealand each having one winner. · Germany has been dominant in the men’s field, claiming four men’s IRONMAN 70.3 World Championships, with Sebastian Kienle winning the past two races and Michael Raelert winning in 2009 and 2010. · The women’s field has seen a winner from Australia or Great Britain since 2009, including two-time world champion Melissa Hauschildt who won in 2011 and 2013. Each country has had three winners. Last year’s IRONMAN 70.3 World Champions, Sebastian Kienle (GER) and Melissa Hauschildt (AUS) will return for this year’s race, along with the 2010 women’s champion Jodie Swallow (GBR) and 2008 men’s champion Terenzo Bozzone (NZL). In addition, BMX and X-Games legend Dave Mirra will give his best effort for an age-group world championship after qualifying with a fourth-place finish in his age-group at the Memorial Hermann IRONMAN 70.3 Texas triathlon. The 2014 Subaru IRONMAN 70.3 World Championship can be viewed race day on www.ironman.com and features a live blog with comprehensive coverage and an athlete tracker with live stream fixed cameras. In addition the Subaru IRONMAN 70.3 World Championship will be telecast at a later date on NBC Sports Network in the United States and on Sportsnet in Canada.